Why is it that the heroine in most “chick flicks” have to undergo some transformation to find definition for themselves? Is it because there is a pervading social construct that, despite their struggle to find an independent self-definition, they still have to abide by? 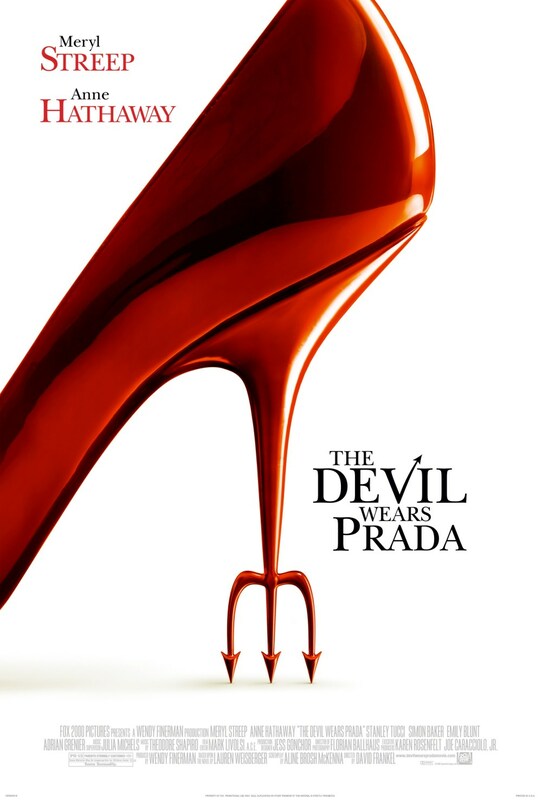 In The Devil Wears Prada, the female protagonist, Andie (Anne Hathaway), transforms from a girl with no fashion sense to a high fashion woman. Only when she dons her Prada and her Chanel does she become fully confident and accepted by her colleagues. True, she eventually forfeits her membership in the high fashion world, but then again, the fashion-less Andie in the beginning of the movie is never seen again either. The compromise that Andie finds at the end of the movie is to perpetuate an image defined by societal codes. The old Andie was too clueless to belong, the ultra-fashionable Andie is too surreal, and so, only the casually-trendy Andie can truly find a place in society. The portrayal of the different transformations that Andie undergoes illustrates how women are often judged not by ability, but often by the way they look. In this way, social definitions for the image of women encroach upon their self-definitions. It’s interesting you noted that Andie finds a balance between fashion and being clueless because in my opinion it reflects a deeper cultural issue. Though many embrace the ideals of female independence there is a strong stigma against the feminist. They’re seen as ‘taking it too far’ or sometimes even being too much like men. However, the woman who completely buys into the high fashion girly-girl style is also somewhat ridiculed. I think Margeaux chose a great film because it subtly addresses this illusive balance between femininity and independence that society demands from women to gain acceptance. I like Jenn’s point about “illusive balance.” It’s both illusive and elusive, yes? I’ve noticed that the “American Dream” is not simply about “making” it in the sense of social achievement and material wealth. For many, it’s about making it without losing your down-home ordinariness, your humility, your aw-shucks “Americanness.” People seem to want to believe that they can aspire to great success in the material sense without this affecting their essential character. It’s like wanting to have your cake and denying that you want it too. Doesn’t this movie play to that idea, that you can achieve some degree of success and stylishness without being essentially changed? It’s as if it’s saying that you can strive for certain things as long as you don’t let that striving change who you are. Stories like these seem very ambivalent about class and the achievement of social status.